Turn the engine off and make sure your car is in a safe place. Maintain patience, tact and courtesy. Don’t lose your temper at any point. Scrutinize the impact of the collision. If you have suffered an injury, get your condition examined by a professional. Don’t offer medical help to others if you haven't been trained for it. Assess the extent to which your vehicle has been damaged. However, don’t walk directly between the two vehicles to avoid being trapped in case of another collision. Report the accident to the police by either dialing 911 or pressing 0 on your phone and asking for the police. Don’t say that you were at fault. Even if you believe you may have been partially responsible, don’t say it. Gather information about the witnesses – names, addresses, and phone numbers, or even their licence plates. Exchange information with the other driver/drivers involved – names, addresses, licence numbers and insurance information. Having an accident can be very stressful. If you’re unsure or require assistance contacting your insurance company, we’re here to help you. Under amendments to the Nova Scotia Insurance Act in 2013, while proceeding with your insurance claim, you’re now required to proceed under your own insurance policy. Your damages will be paid for by your own insurance company. This won’t affect your policy rates if you’re not at fault for the accident. Your insurance company may suggest a particular repair shop, but it’s your legal right to pick your own repair shop. Choose wisely. Pick a shop that has a good reputation, warranty and the one that you feel comfortable with. Protect your investment! 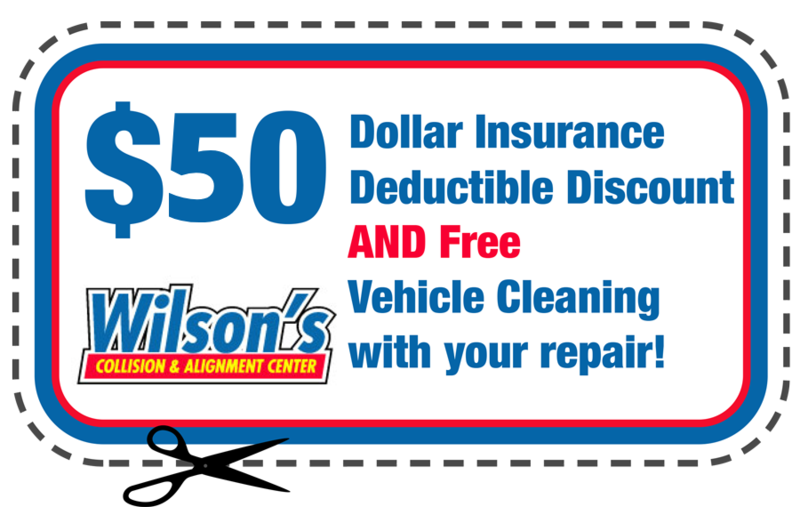 Call Wilson Collision & Alignment Center for details. Here are some of the questions asked frequently by Wilson Collision & Alignment Center’s customers. Feel free to call, visit or email us if you have a question that's not answered here. We'll be happy to address any queries or concerns you may have about our auto repair services. Do I have to choose the auto repair shop selected by my insurance company? According to the amendments made to the Nova Scotia Insurance Act in 2013, it isn't necessary for you to choose the auto repair shop selected by your insurance company. It’s your legal right to choose your repair shop if you've been in an accident. What steps are involved in your auto repair process? Ask us and we'll take the time to explain to you how your vehicle will be fixed. How long will it take for you to repair my car? The time we take to repair your vehicle depends entirely on what you need fixed. After an assessment of the damage, we’ll let you know how long it will take for us to fix it. Ideally, small bumper jobs can be done in a day. Rest assured we generally have a very quick turnaround time.